Buddha Cat Cremation Urn- Celedon Crackle. This fun and creative Buddha Cat Urn is designed to lovingly hold the ashes of your best friend. 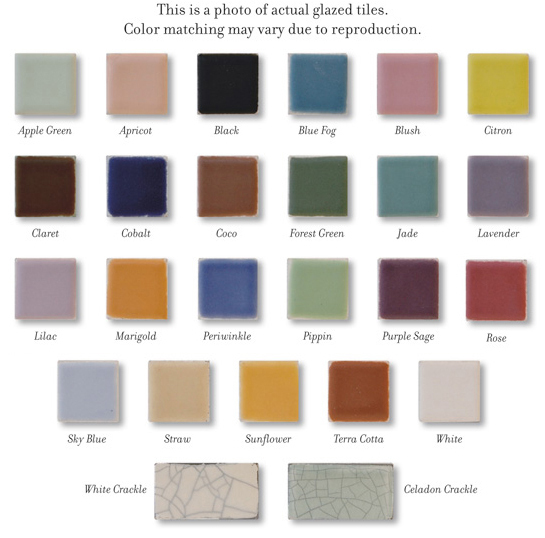 Each urn is handmade and is available in 25 different colors, all shown below. 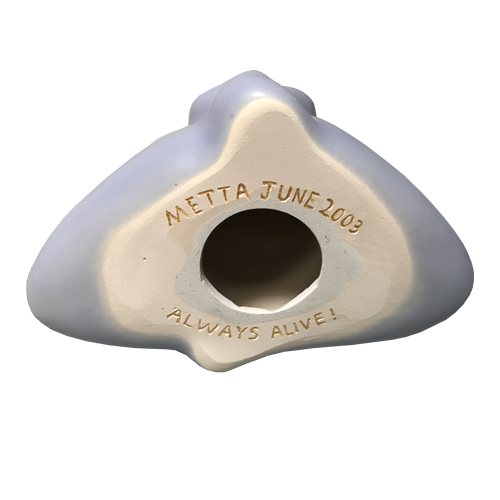 Etched engraving of your pet's name and dates on earth is available and the urn can be sealed permanently using super glue. Dimensions: 7" wide x 7" tall x 4" deep. Please allow approximately 4 weeks for the artist to create your handmade urn. 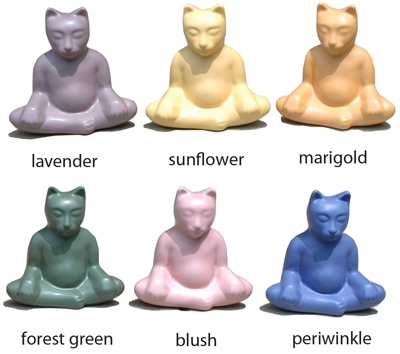 Shown below Buddha Cat Cremation Urn shown in 6 of the 26 available colors.